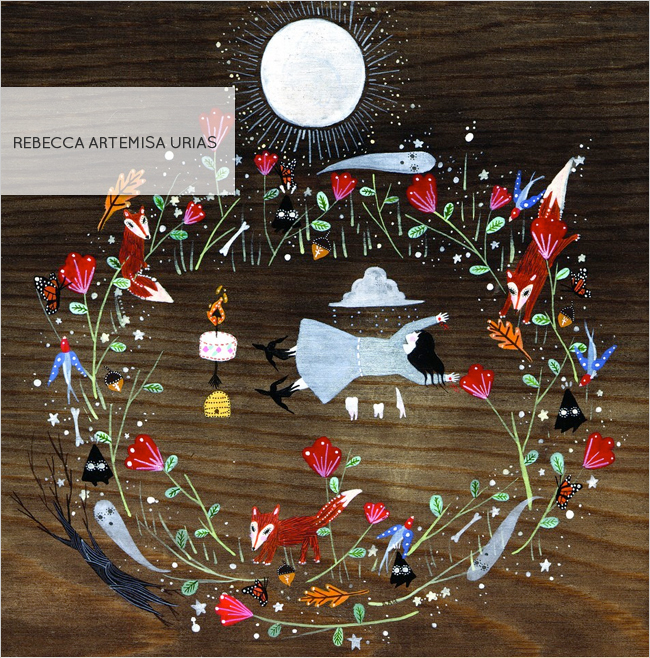 How many different tales can you make up for each of these intriguing pieces by Rebecca Artemisa Urias? I think that's what I love most about Rebecca's work, it's more than just a moment captured - the longer you look at them, the more the story develops in your mind. She also has the ability to incorporate a rainbow of strong beautiful vibrant colors but still achieves a quiet and intimate sense about her work. Definitely someone to bookmark! Rebecca also photographs groupings of little treasures, I love the mood that each one evokes. Would you agree that her photographs have the same quiet yet powerful sensibility as her traditional art work? Like 3-D versions of her work. Visit her flickr stream for more inspirational photographs and more samples of her work. Oh...I am in love with that first print so much..... gorgeous work. Off to check it all out! 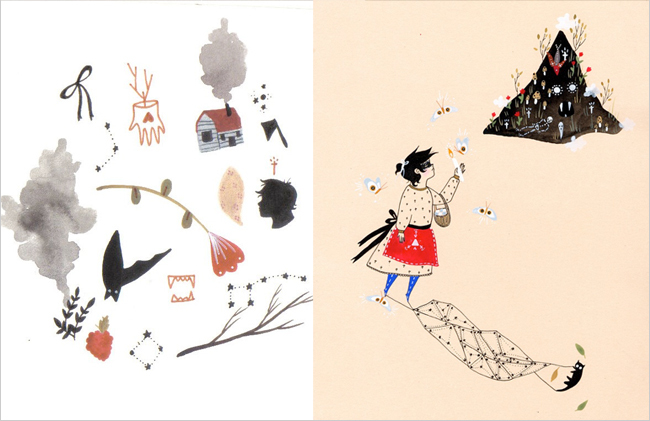 Her work is so moving, I can't take my eyes off the first piece you showed...with the birds as her feet...wow! wow, i love the folk art quality of the illustrations. thanks for sharing!